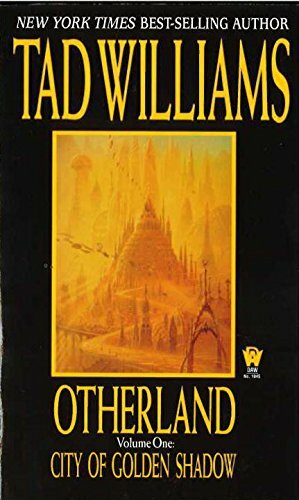 by Tad Williams | Science Fiction & Fantasy | This book has not been rated. Otherland. Surrounded by secrecy, it is home to the wildest dreams and darkest nightmares. Incredible amounts of money have been lavished on it. The best minds of two generations have labored to build it. And somehow, bit by bit, it is claiming the Earth's most valuable resource—its children. Renie Sulaweyo, a teacher and the backbone of her family, proud of her African heritage, has fought all her life simply to get by. She has never wanted to be a hero. But when her young brother is struck down by a bizarre and mysterious illness, Renie swears to save him. When people around her begin to die, she realizes she has stumbled onto something she is not meant to know, a terrifying secret from which there is no turning back. !Xabbu is a Bushman, come to the city to learn skills which may save the spirit of his tribe. With the heart of a poet and the soul of a shaman, he will journey with Renie on this quest into the very heart of darkness. Paul Jonas is lost, seemlingly adrift in space and time. As he flees from the bloody battlefields of World War I to a castle in the sky, and onward to lands beyond imagining, he must not only evade his terrifying pursuers, but solve the terrible riddle of his own identity. Fourteen-year-old Orlando is also the invincible barbarian Thargorm, but only in his imagination. However, youth and frailty are not enough to get you excused from saving the world. And Mister Sellars, a strange old man on a military base, a prisoner of both the government and his own body, may be the greatest mystery of all. Is he part of The Grail Brotherhood? Does he oppose them? Or, as he sits like a spider at the center of a vast web, does he have ambitions of his own? The answers will only be found in Otherland. Väldigt många olika historier och väldigt många mysterier. Hoppas det börjar "gå ihop" i del två! Släppt på skylt med foto nr 1 i en liten utställning om hur det såg ut i Oskarhamn förr.